Pikeville Medical Center Ophthalmology department features three board certified physicians covering a wide variety of specialties. LASIK eye surgery is also available, using state-of-the-art technology. Pikeville Medical Center and Ophthalmologist/Refractive Surgeon Dr. Keith Ison are now offering LASIK eye surgery – a first in this area – using state-of-the-art technology. LASIK surgery is the most common form of laser vision correction. During the procedure, a laser is used to create a thin, precise flap in each cornea.This exposes the underlying tissue and allows the doctor to reshape the eyes. Then the physician uses tiny rapid bursts from the laser to carefully create a more ideal shape for the eyes, resulting in clearer, more focused vision. 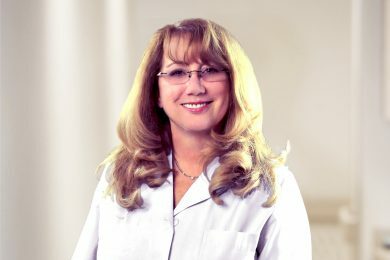 Once the eyes have been reshaped, the flap is put back into place and acts as a natural bandage during the healing process.Most patients experience a difference in their vision just five minutes after surgery and can see 20/20 or better the next day.“Realistically, LASIK eye surgery should give you vision as good as or better than you have when wearing contacts or glasses,” said Dr. Ison. For most patients this potentially life-changing procedure takes only 15 minutes from start to finish. The procedure is performed at Dr. Ison’s office in a new state-of-the-art LASIK suite. PMC has purchased Alcon’s WaveLight Workstation. Unlike other LASIK technology that uses only the patient’s eyeglasses or lens prescription, the WaveLight Laser also accounts for other factors that make one’s eyes special and different. 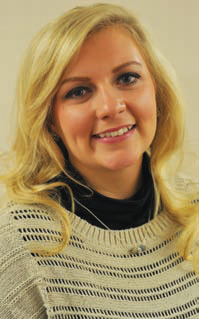 “This state-of-the-art system allows us to provide customized treatment for every person, every time,” said Dr. Ison. WaveLight is one of the fastest laser platforms on the market, offering advanced surgical technology. PMC’s system creates a flap using the laser only. The femtosecond Laser creates an exacting layer of bubbles just below the surface of the cornea. The depth of the bubble is precisely controlled by the focal point of the laser. The flap is created in about 6 seconds and is a more precise and cleaner cut than blades can offer. This means faster healing and less patient discomfort overall than traditional blade cuts. The Allegretto Wave Analyzer precisely measures and maps the surface of your cornea and plans out the exact amount of energy to be delivered to each section of the eye. Dr. Ison is Board Certified by The American Osteopathic Board of Ophthalmology and Otolaryngology and has completed extensive training in LASIK. 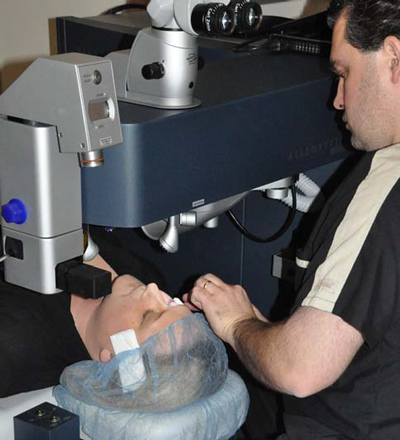 Dr. Ison has performed laser eye surgeries for years prior to offering LASIK including cataract surgeries. Numerous procedures have already been performed and our patients are thrilled with the results (See our patient testimonials). LASIK surgery is the most common form of laser vision correction. During the procedure, a laser is used to create a thin, precise flap in each cornea. This exposes the underlying tissue and allows the doctor to reshape the eyes. The physician then uses tiny rapid bursts from the laser to carefully create a more ideal shape for a patient’s eyes, resulting in clearer, more focused vision. Once the eyes are reshaped, the flap is put back into place and will act as a natural bandage during the healing process. In minutes after surgery, most patients start to see results. Most patients experience a difference in their vision just five minutes after surgery and can see 20/20 or better the next day. 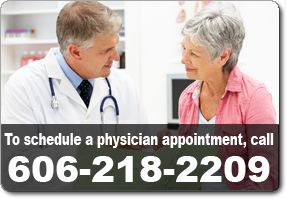 To schedule a FREE consultation with Dr. Ison, call 606-218-2209. 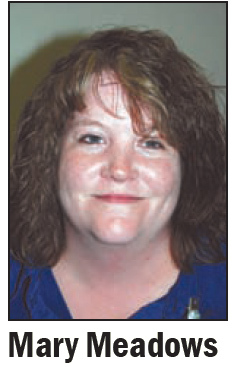 Pikeville Medical Center accepts Care Credit. For more information about Care Credit financing for LASIK, please visit their website at CareCredit.com. I was in the third grade when seeing the chalk board at the front of the classroom started to become difficult. My mother took me to a local optometrist and I was fitted for my first pair of glasses. Eventually, I learned to wear contacts. Carrying my glasses, contact case and solution in my purse became normal. Three years ago, I noticed my eyes became dry and irritated every time I wore contacts. After trying several different brands for more than five years, I gave up and started wearing my glasses full-time. A couple of months before my daughter’s first birthday, she began noticing the glasses on my face and would grab them in the middle and throw them to the side. That was when I called Pikeville Medical Center’s Ophthalmologist, Dr. Keith Ison, and made an appointment to discuss LASIK surgery. After the consultation, Dr. Ison told me I was a candidate for surgery and immediately scheduled the procedure. When surgery day arrived, my heart was racing. I couldn’t contain the excitement of knowing that by the end of the day I would be able to see without corrective lenses. I was in and out of the surgery suite within 30 minutes, but the actual procedure took only seconds for each eye. Dr. Ison and his team comforted me throughout the entire process. They told me exactly what to expect, what was being done and took time to answer my questions. That night as I was getting ready for bed I turned on the television, and for the first time in more than 15 years I was able to see clearly from across the room. At my check-up the next morning, I was reading 20/15. Before surgery, my vision was 20/80. Today, I am able to play with my daughter without having to worry about her breaking my glasses; I can put makeup on and actually see what I am doing; I don’t have to worry about my glasses fogging up when I walk outside in the cold and I can wear sunglasses again. I cannot thank Pikeville Medical Center, Dr. Keith Ison or his office staff enough for the opportunity to be free of glasses and contacts. LASIK surgery has forever changed my life. Since the sixth grade I’ve been bound to glasses or contacts, and I’ll be the first to say it’s no fun. Constantly needing to fight with adjusting my contacts comfortably was always a struggle for me. By evening, I could feel it was definitely time to replace the contacts with my glasses, because my eyes were completely dried out. I always switched back and forth between my glasses and contacts, because one minute contacts would be drying out my eyes and the next my glasses would be giving me a headache. I had no choice but to suffer through the challenges until something better came along, and it did. 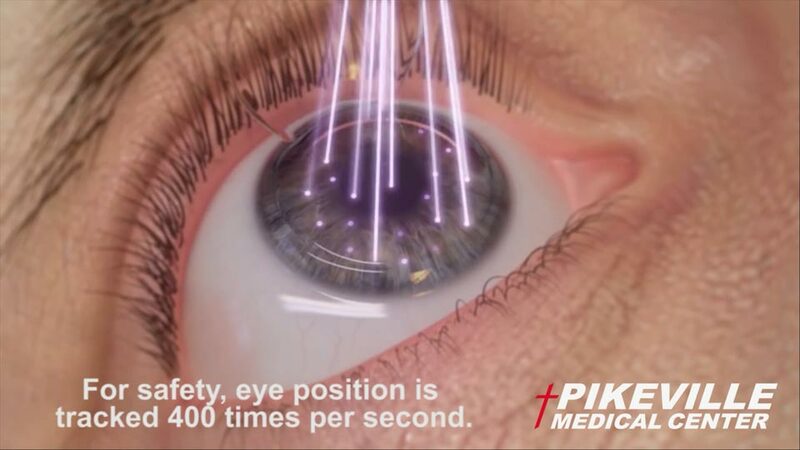 In September, I had my LASIK eye consultation with Dr. Ison at Pikeville Medical Center. After an extensive screening of my eyes, I was delighted to hear I was a candidate. I was scheduled for surgery the following week. really got the best of me, but I knew I needed to do this for my own benefit. The morning of surgery came quick, and when Dr. Ison came out to get me, I was still nervous but ready for it to happen. Throughout the entire process, Dr. Ison and his staff talked to me and told me exactly what was going on. I don’t think I had been in the surgical suite for even 20 minutes when they said I was finished. When I rose up from surgery, I could tell a difference already. During my first follow-up visit, my vision was 20/20 in the left eye and 20/15 in the right. This surgery was definitely a life-changing experience. Now when I get out of bed I can see everything as opposed to before when I would be looking for my glasses. It’s not that I despised wearing glasses. They were just terribly inconvenient in my life. Glasses got in the way of so many things I enjoyed doing. Gardening, hiking, being outdoors, even walking in a sprinkling rain, was bothersome with glasses. Countless times, I huffed and puffed as my glasses fogged up when I stepped out from an air conditioned vehicle into the hot afternoon sun. Time after time, I readjusted the frames as I worked, walked, cooked or did just about anything. Try putting on mascara when you wear glasses. It’s not easy, let me tell you, because you can’t see as well without them. All of that changed for me in October. That’s when I had LASIK at Pikeville Medical Center. 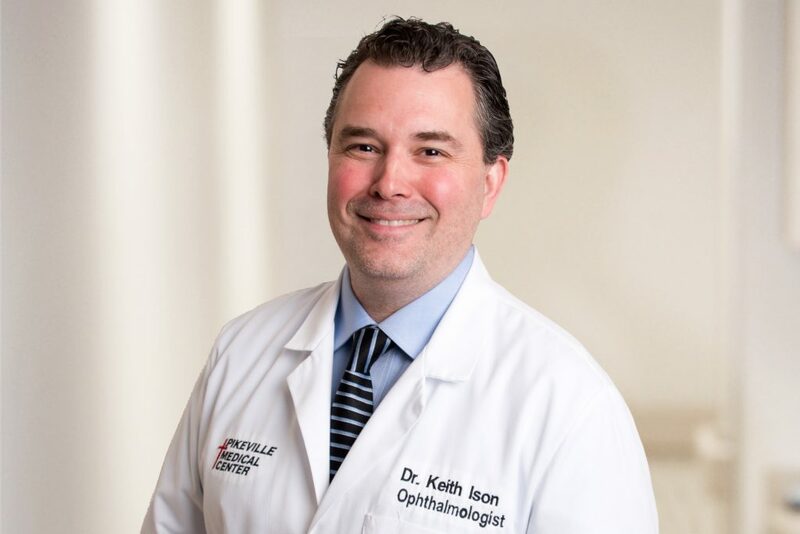 When I learned that Dr. Keith Ison was performing the vision correction surgery, I jumped at the chance to participate. Dr. Ison has been my ophthalmologist for years, long before he started working at PMC. I knew he was competent, caring and thorough, so I had no doubt that I would be pleased if I was selected to have this surgery. On Oct. 18, 2012, Dr. Ison and his team fixed my astigmatism with LASIK. Using a WaveLight Work Station, they corrected my vision in a matter of seconds, literally. They call it surgery, but it didn’t seem that way at all. Using laser technology and a computerized machine that was set for my individual needs, Dr. Ison created flaps on the corneas of my eyes. No blades were used to create these flaps, which allowed him to correct my vision from the inside-out. The laser focused three seconds on my right eye and five seconds on my left eye, all while I was awake. I felt only slight pressure during the procedure and was repeatedly comforted by Dr. Ison and his staff, who told me, step-by-step, what to expect to hear or see. I was in-and-out of his office in less than 30 minutes. The next morning, I woke up to a new world. Everything seemed brighter, more defined. I remember staring out the window while traveling back to Dr. Ison for the day-after-surgery follow-up. Without glasses, I was able to define the shapes of leaves on trees and blades of grass. There were no blurry road signs, no blurry anythings. I couldn’t believe it! Now, more than a month following surgery, I am still thrilled with my vision. Before the surgery, my vision was 20/50, and I was expecting to trade my glasses in for a pair of bifocals in a couple of years. After LASIK, my astigmatism is gone. My vision is 20/20 and I see perfectly. I am truly blessed to have been given this opportunity, and this region is truly, truly blessed to have this kind of equipment and the expertise available to provide LASIK to patients close to home. There’s nothing like knowing, and seeing, that you can see again. — Mary Meadows is a resident of Blue River, Floyd County.